No membership fee, no filling forms, no return deadlines. The US-based Little Free Library, that has been around since 2009, is a concept that promotes reading through an honour system, and Shannon Lee Zirkle-Prabhakar, a city-based photographer, is introducing Chennai to it. a�?I felt that libraries are not easily accessible here. 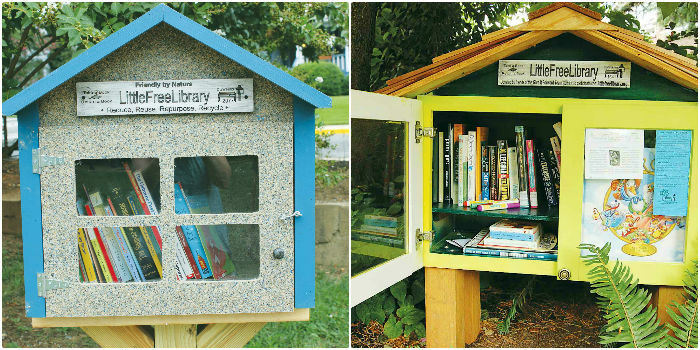 In the States, every neighbourhood has a free library,a�? says Zirkle-Prabhakar. Her Little Free Library will be located on the porch of her home in Egmore, to be launched on July 19. Anyone is free to take a book or add to the collection of books at the library, says Zirkle-Prabhakar, who will be stacking between 50 and 75 old books across various genres in an old cupboard that she is painting for the purpose. 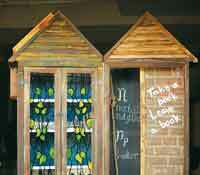 There are currently four such libraries in the country, that are registered with Little Free Library. a�?On Littlefreelibrary.org you will see a map of all the libraries that are registered with them,a�? she says, adding that she has also started a Facebook page for her library, to build a community where readers can stay involved. a�?Anyone who has a book that they would like to share can add it to the library,a�? says Zirkle-Prabhakar, explaining that there are no restrictions on language or genre if someone wishes to contribute. But with no membership or deadlines or need to identify oneself before taking a book, will people actually return them? a�?There are risks like that, but wea��ll know once it starts,a�? says Zirkle-Prabhakar, who hopes that people will not misuse the concept and respect that it is for a cause a�� to promote reading.